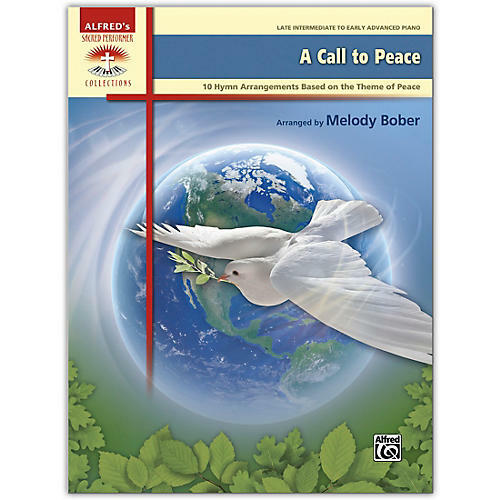 A Call to Peace contains 10 favorite hymns skillfully arranged for late intermediate to early advanced pianists by Melody Bober. These arrangements offer the comfort, care, and encouragement necessary for weathering the storms of life. Additionally, approximate performance times are included with each arrangement, making them easy to incorporate into church services. Titles: Blessed Quietness * Dwelling in Beulah Land * God Will Take Care of You * His Eye Is on the Sparrow * Leaning on the Everlasting Arms * Near to the Heart of God * O God, Our Help in Ages Past * Rock of Ages * A Shelter in the Time of Storm * There Is a Balm in Gilead.